Heidegger’s contribution to the growth and development of National Socialism was immense. 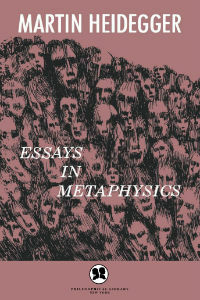 In this small anthology, Dr. Runes endeavors to point to the utter confusion Heidegger created by drawing, for political and social application of his own existentialism and metaphysics, upon the decadent and repulsive brutalization of Hitlerism. 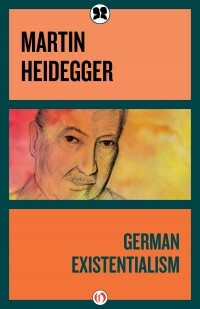 Martin Heidegger was a philosopher most known for his contributions to German phenomenological and existential thought. Heidegger was born in rural Messkirch in 1889 to Catholic parents. While studying philosophy and mathematics at Albert-Ludwig University in Freiburg, Heidegger became the assistant for the philosopher Edmund Husserl. Influenced by Husserl, Kierkegaard, and Nietzsche, Heidegger wrote extensively on the quality of Being, including his Opus Being and Time. He served as professor of philosophy at Albert-Ludwig University and taught there during the war. In 1933, Heidegger joined the National Socialist German Worker’s (or Nazi) Party and expressed his support for Hitler in several articles and speeches. After the war, his support for the Nazi party came under attack, and he was tried as a sympathizer. He was able to return to Albert Ludwig University, however, and taught there until he retired. Heidegger continued to lecture until his death in 1973.